Maciej is a Polish photographer, traveller and educator. He holds a PhD in computer science, but abandoned science in 2009 to focus on photography. He is one of the founders of Third Floor Gallery in Cardiff and member of the international street photography collective In-Public. 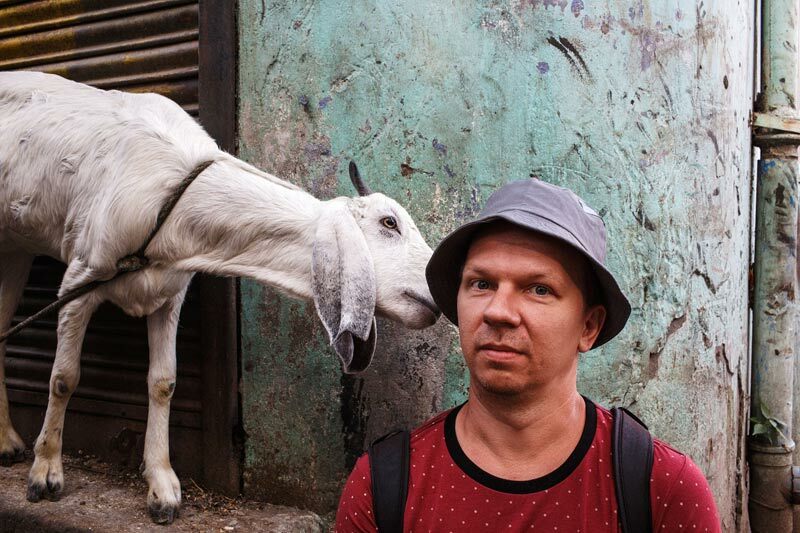 He has worked on various photographic projects, judged numerous photography competitions, organised and lead countless photography workshops and his interests are in documentary, travel and street photography. Maciej’s photos have been widely published and exhibited around the world, shown at photo festivals and he is a recipient of numerous awards. He was profiled in two major street photography books published by Thames & Hudson – “Street Photography Now” in 2010 and “The World Atlas of Street Photography” in 2014. Maciej’s first monograph “Cardiff After Dark” was published in October 2012. Maciej is currently based in Bangkok, Thailand. “Cardiff After Dark”, introduction by Sean O’Hagan, published by Thames & Hudson in October 2012. “Street. Life. Photography” edited by Sabine Schnakenberg, 2018, Kehrer Verlag (LINK, amazon.co.uk). “Bystander: A History of Street Photography” by Colin Westerbeck and Joel Meyerowitz, 2017, Laurence King (LINK, amazon.co.uk). “100 Great Street Photographs” by David Gibson, 2017, Prestel (at amazon.co.uk). “How to Take Great Photographs” by Clive Woodyyear, 2015, Radio Listeners Guide (at amazon.co.uk). “The World Atlas of Street Photography” by Jackie Higgins, 2014, Thames & Hudson (at amazon.co.uk and amazon.com). “Read This If You Want to Take Great Photographs” by Henry Carroll, 2014, Laurence King (at amazon.co.uk). “Hijacked III”, 2012, Kehrer Verlag. (at amazon.co.uk). “Street Photography Now” by Sophie Howarth and Stephen McLaren, 2010, Thames & Hudson. (at amazon.co.uk). “Magenta Flash Forward 2009”, Magenta Foundation. LensCulture Street Photography Awards 2018 – Single Image Category – 1st place (LINK). EyeEm Awards 2017, The Street Photographer – finalist (LINK). Grand Press Photo 2016 – Poland – 3rd place in the “News” category, single photo (LINK). NPPA Best of Photojournalism 2016 – USA – 2nd place in the “International News Story” category (LINK). BZWBK Press Photo 2016 – Poland – 1st place in the “News” category, reportage (LINK). Wielki Konkurs National Geographic 2015 – Poland – Special Mention in the “Reportage” category (LINK). LEICA STREET PHOTO 2015 – Poland – one of the winners (LINK). LEICA STREET PHOTO 2013 – Poland – one of the winners (LINK). LEICA STREET PHOTO 2012 – Poland – one of the winners (LINK). BZWBK Press Photo 2011 – Poland – 2nd place in the “Society” category, reportage (LINK). BZWBK Press Photo 2011 – Poland – 3rd place in the “Nature” category, reportage (LINK). Digital Camera Photographer of The Year 2010 – UK – 2nd place in the “Documentary” category and 3d place in the “Adrenaline” category (LINK). Wielki Konkurs National Geographic 2010 – Poland – Honourable Mention in the “Reportage” category (LINK). BZWBK Press Photo 2010 – Poland – 3rd place in the “Civilisation” category, single photo (LINK). VIVA! Photo Awards 2009 – Poland – The Grand Prix Award (LINK). Magenta Flash Forward Emerging Photographer 2009 (LINK). Digital Camera Photographer of The Year 2009 – UK – 3d place, Highly Commended and Commended in “This is Britain” Category (LINK). 26 April – 31 May 2013 – “Cardiff After Dark” exhibition at Firlej Club in Wroclaw, Poland. 12 April – 19 May 2013 – “Cardiff After Dark” exhibition at Kaunas Photography Gallery in Kaunas, Lithuania as a part of Kaunas Photo Festival 2013. 21 February – 30 April 2013 – “Cardiff After Dark” exhibition at White Cloth Gallery in Leeds, England. 24 January – 5 March 2013 – “Cardiff After Dark” (“Cardiff Po Zmroku”) exhibition at Leica Gallery in Warsaw, Poland. 14 October – 2 December 2012 – “Cardiff After Dark” at Third Floor Gallery in Cardiff, Wales, UK. 21 January – 1 February 2012 – “China Impressions” – Paris Van Java mall, Bandung, Indonesia. 15 April – 15 May 2011 – “Cardiff Noca” – Galeria im. Slendzinskich, Bialystok, Poland. 8 June – 21 October 2018 – “[SPACE] Street. Life. Photography. Seven Decades of Street Photography” – the House of Photography, Deichtorhallen Hamburg, Germany during the Triennial of Photography (LINK). 4 June – 18 August 2018 – “Bystander | Street Photography Exhibition” – The Gallery at Leica Store San Francisco, USA (LINK). 13 December 2017 – 27 January 2018 – “The Arab Street” – Gulf Photo Plus, Dubai, UAE (LINK). 20 October – 1 December 2017 – “Eastreet 4. Street Photography from Eastern Europe” – Centre for the Meeting of Cultures, Lublin, Poland (LINK). 31 March – 15 April 2016 – “DISKO | kultura zabawy” – pix.house, Poznan, Poland (LINK). 14 August – 5 September 2015 – “A Tale of Two Cities. Fotografien aus Cardiff und Stuttgart.” – FOTOSOMMER STUTTGART, Kunstbezirk Galerie im Gustav-Siegle-Haus, Stuttgart, Germany. 3 – 30 October 2013 – “Eastreet. Street Photography from Eastern Europe” – Centre for Culture, Lublin, Poland (LINK). 8 June – 19 September 2013 – “Divine Bodies” – the Laing Art Gallery, Newcastle, UK (EXHIBITION LINK, EXHIBITION TOUR VIDEO). 18 February – 8 April 2012 – “Hijacked III: Contemporary Photography from Australia and the UK” – Perth Institute of Contemporary Arts, Perth, Australia. 9 February – 4 March 2012 – “Street Games”, the ‘Un-Posed’ collective exhibition – Leica Gallery, Warsaw, Poland. (LINK). 22 January – 29 February 2012 – “STREET PHOTOGRAPHY NOW – Fotografia uliczna tu i teraz.” – Galeria Pauza, Krakow, Poland. (LINK). 2 October – 14 November 2011 – “From Distant Streets”, as part of the Louisville Photo Biennial, Galerie Hertz in Louisville, Kentucky, USA. 6 August – 5 November 2011 – Mass Photography: Blackpool through the camera – Grundy Art Gallery, Blackpool. 14 April – 22 July 22 2011 – Big Little City (showing “Cardiff After Dark” and “The Staff Club” projects) – The Old Library, The Hayes, Cardiff. 18 December 2010 – 30 January 2011 – Street Photography Now – Galerie Lichtblick, Cologne, Germany. October 2010 – Street Photography Now – Third Floor Gallery, Cardiff, UK. February 2010 – “Milosc w czasach kryzysu (Love During the Crisis Time)” – Galeria 2piR in Poznan, Poland (FLYER,INFO). October 2009 – “Magenta Foundation’s Flash Forward 2009” – Lennox Contemporary, Toronto, Canada. August 2009 – “Foto8 Awards & Summer Show 2009” – HOST Gallery, London, UK. July 2008 – “Foto8 Awards & Summer Show 2008” – HOST Gallery, London, UK. 12 April – 19 May 2013 – “Cardiff After Dark” exhibition at Kaunas Photo Festival 2013. November 2012 – “Cardiff After Dark” at Vilnius Photo Circle Photo Festival 2012 (LINK). 19 October – 25 November 2012 – The 5th European Month of Photography, Berlin, Germany (part of the un-posed exhibition). 14 September – 28 October 2012 – “Cardiff After Dark” displayed as a part of the “Facing Youth” exhibition at Encontros da Imagem 2012, Braga, Portugal – an international festival of photography and video (LINK). March – April 2012 – “Cardiff After Dark” – Fotojatka Festival 2012 – Brno, Prague, Ceske Budejovice, Czech Republic. 29 September 2011 – “Cardiff After Dark” screened at Visa Pour l’Image 2011 international festival of photojournalism – Perpignan, France.